1973 born in Dhahran, Saudi Arabia and lives in Dubai, UAE. 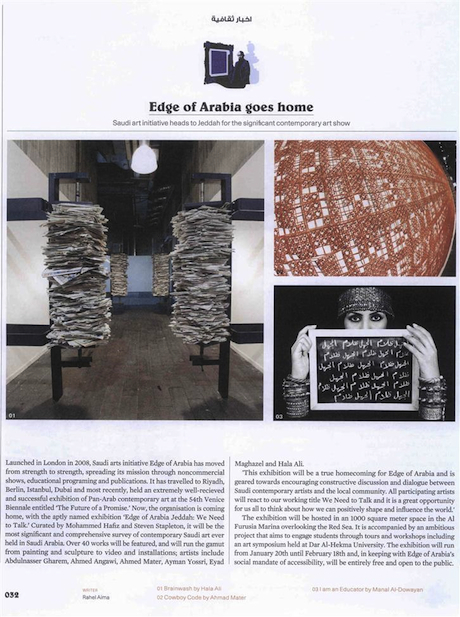 Embracing diverse media, Manal AlDowayan's work encompasses black and white photography, sculpture, video, sound, neon and large-scale participatory installations. Manal holds a Master's Degree in Systems Analysis and Design and and an MA in Contemporary Art Practice in Public Spheres at the Royal College of Art. Her artistic practice revolves around themes of active forgetting, archives, and collective memory, with a large focus on the state of Saudi women and their representation. She has documented social groups like the oil men and women of Saudi Arabia in her project, If I Forget You Don't Forget Me, and has addressed the impact of mass media on propagating intentional erasing of identities in her project Crash, highlighting the unnamed Saudi teachers dying in car crashes across Saudi Arabia.